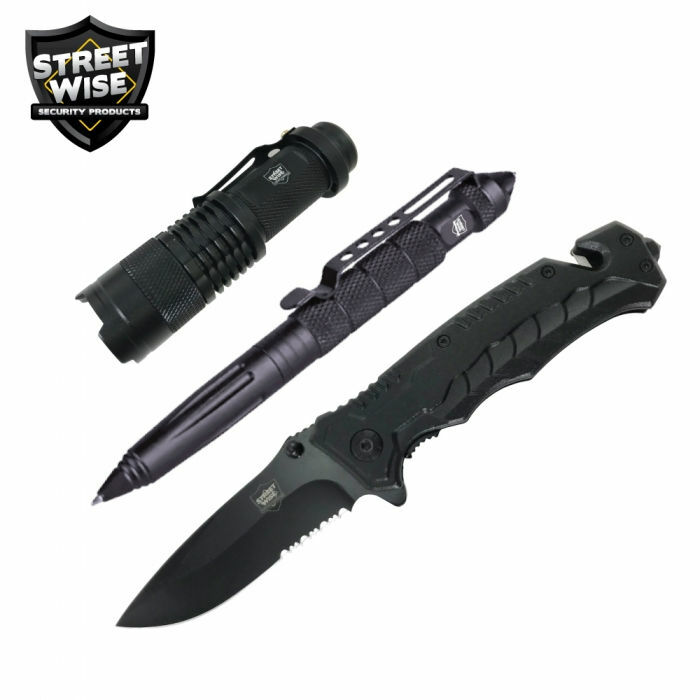 The Tac Pac gives you a tactical knife, a tough and nails pen, and a bright flashlight you can use to help you get out of your vehicle and continue on afterwards. 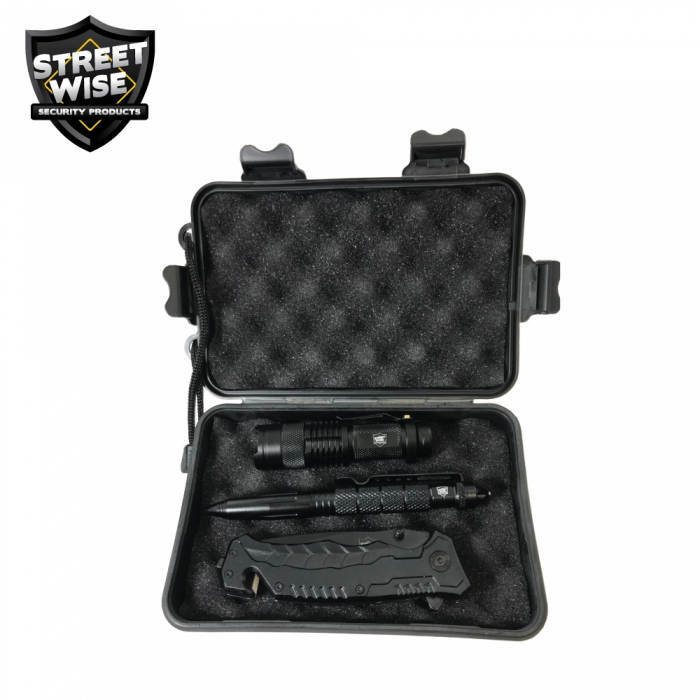 It comes in a sturdy case that holds everything securely and also stashes away conveniently. Get this for yourself or give the gift of safety. When you're looking for an inexpensive gift that will be appreciated and valued, this tac pac is it.